Altitude sickness, also called altitude illness or acute mountain sickness, does not refer to the fear of heights that is so common among people today; rather, it is due to the pathological effect of high altitude on humans. At high altitudes, the amount of oxygen available to sustain mental and physical alertness is decreased. The air is less dense as elevation increases; therefore, the number of oxygen molecules per given volume of air decreases as well. The percentage of oxygen in air (21%) remains mostly constant up to 69,000 ft of elevation; however, people have different susceptibilities to altitude sickness and may develop symptoms closer to sea level. As a result of low oxygen pressure, you may experience symptoms such as headache, nausea, vomiting, fatigue, dizziness, nosebleeds, and swelling of the hands, feet, and face. People may also feel short of breath, drowsy, and an overall sense of malaise. Altitude sickness usually occurs after a rapid ascent, and can often be prevented by ascending slowly. Symptoms commonly subside as the body adapts to higher altitude over time. Alcohol and sleeping pills suppress the acclimatization process and may lead to dehydration. Therefore, they should be avoided during the first 24-48 hours at higher elevations. Altitude acclimatization refers to the process of adjusting to decreasing oxygen levels at high altitude. For example, many mountain climbers spend a few days at a base camp, climb to a camp at a higher elevation, and then return to the base camp. This process is repeated several times, gradually increasing the amount of time the climber spends at higher altitudes. If you were wondering, this is the process you would go through if you were climbing Mount Everest. For those situations in which a rapid ascent is unavoidable, or in which symptoms of altitude sickness are already present, there are medications that can help ease or even prevent those symptoms. Diamox, a mild diuretic, is a commonly used medication. It works by increasing the acidity of the blood, which stimulates us to breathe more deeply and more frequently, allowing us to take in more oxygen. As a result, this speeds up the natural acclimatization process. It can be taken as a preventive measure at a dose of 125 mg twice daily, with the first dose taken 24 hours before ascending until a few days have been spent at the highest altitude or upon descent. If symptoms are already present, it can be taken twice daily at a dose of 250 mg. If you have any additional questions about altitude sickness, it is always best to consult with your doctor. Hopefully these tips will help you climb those mountains and keep you free from altitude sickness! 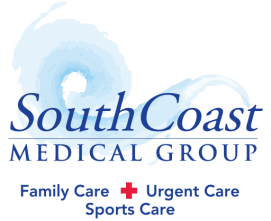 Next Article What do we do at South Coast during an annual exam?